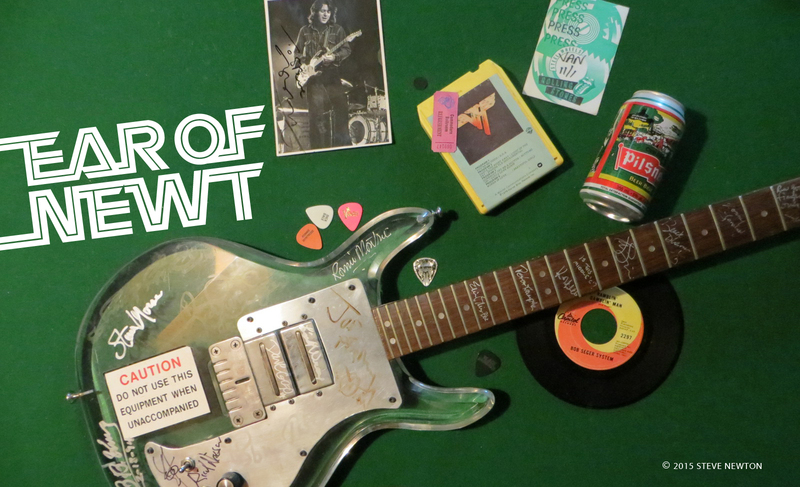 So just who, you ask, are today’s finest rock guitarists throwing all these accolades to? Is he the next Jimi Hendrix–a wildman playing at intense volume who will form a supergroup, release a million-selling LP, and play before crowds of no less than 20,000? Nope. Van Halen and colleagues are directing their praise to a self-critical, excruciatingly modest English bloke by the name of Allan Holdsworth. And Vancouver music lovers can thank their lucky stars that–with the exception of fellow musicians and well-informed music critics–very few people are really aware of Holdsworth’s remarkable talent. Because this Sunday (November 13) they’ll be able to experience it within the intimate confines of the Soft Rock Cafe. He and his band I.O.U. will b playing two sets there, at 7 and 10 pm, and are also slated for those same times Tuesday night. You’ve played with a lot of groups and artists over the years–U.K., Bruford, Soft Machine, Tony Williams. Are you happier playing with I.O.U. than you were with the others? Yes, a lot happier. Because I was always the guitar player in someone else’s band, and I didn’t always like the music. In fact, quite a lot of–especially U.K.–I detested. I thought it was crap. I didn’t even want to be involved in it. And it’s funny, ’cause a lot of people like the things that I hate the most. But that’s life. No. I enjoyed playing with Tony. He was great. Why did you record Road Games as a mini-album rather than a full-size one? That was the record company’s idea. I was pushed around a lot by them. They gave me a hard time, basically. Ted Templeman [the producer] gave us the run-around, because originally Eddie Van Halen and he were supposed to coproduce the album. But because of their schedules, Eddie’s always working and Ted is a real pain to pin down. I would have been a hundred years old before I’d have done the album. So I just said, “No, I’m not gonna wait,” and they said, “Okay, go ahead and do it on your own.” But they didn’t really want me to do that, and they just harassed me the whole time. It made it very difficult. I’ve noticed on the back cover of Road Games there’s a “special thanks” to Eddie Van Halen. Well he was there when the first demos of the songs that we were going to record for Warner Brothers were done. And also he brought Ted Templeman to see I.O.U. in the first place. 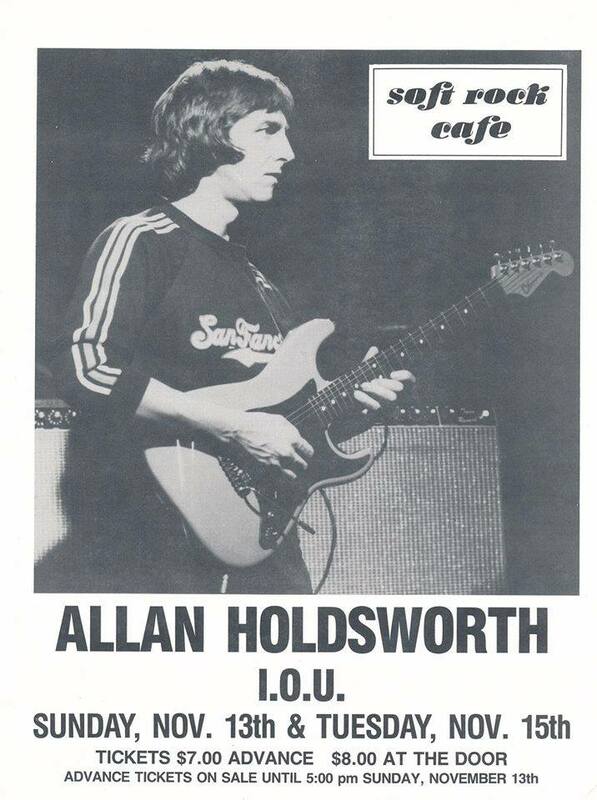 He’s quoted as saying, “Holdsworth is the best in my books.” What do you think of his playing? Are there any other rockers that impress you? No, not really, ’cause I’m not really that impressed by flash. A lot of rock guitar players are just flash, but Eddie’s thing seems to have evolved completely naturally, on its own. And I respect anybody who can do that. How did you come to get Jack Bruce to sing on “Was There?” and “Material Real” on Road Games? That was at the request of the record company. They didn’t want me to use Paul, the original singer, ’cause they said they didn’t like him. And they weren’t going to let me put the album out at all if I didn’t use a famous singer. So I said that I wanted to use Jack, ’cause he was the only famous singer that I liked out of the guys that they were talking about. What music do you most enjoy listening to in your spare time? 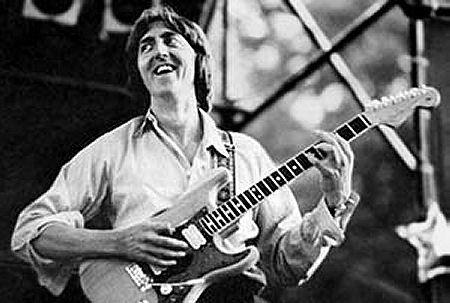 What would you like the future to hold for Allan Holdsworth? I’d just like to make a record that I was really happy with. So far I haven’t been able to achieve that. The I.O.U. record was a good record, but it had problems in as much as it was recorded cheap, and it was done very fast. There’s nothing wrong with that, but I would have liked to have spent more time mixing. The new Road Games album was the opposite. We had plenty of time to record it, but we just got shoved around so much by the record company. Which is why it says “produced by circumstance”, because for three of the tracks I was forced to mix at a studio that stinks in my opinion. They had a Harrison console in there, and I just don’t like the way they sound. Some people like them and some people don’t and I don’t. Warner Brothers wouldn’t let me mix it anywhere else, so I had to spend my own I.O.U money in order to remix three tracks and make it liveable with. But there is some good playing on it; Chad and Jeff play great on it.